Arm yourself with the best. 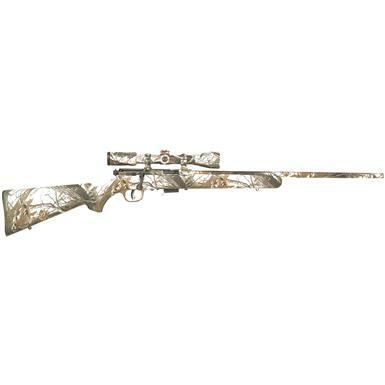 This 17 Series Rifle from Savage delivers powerful punch to take out varmints, pests and other small game. 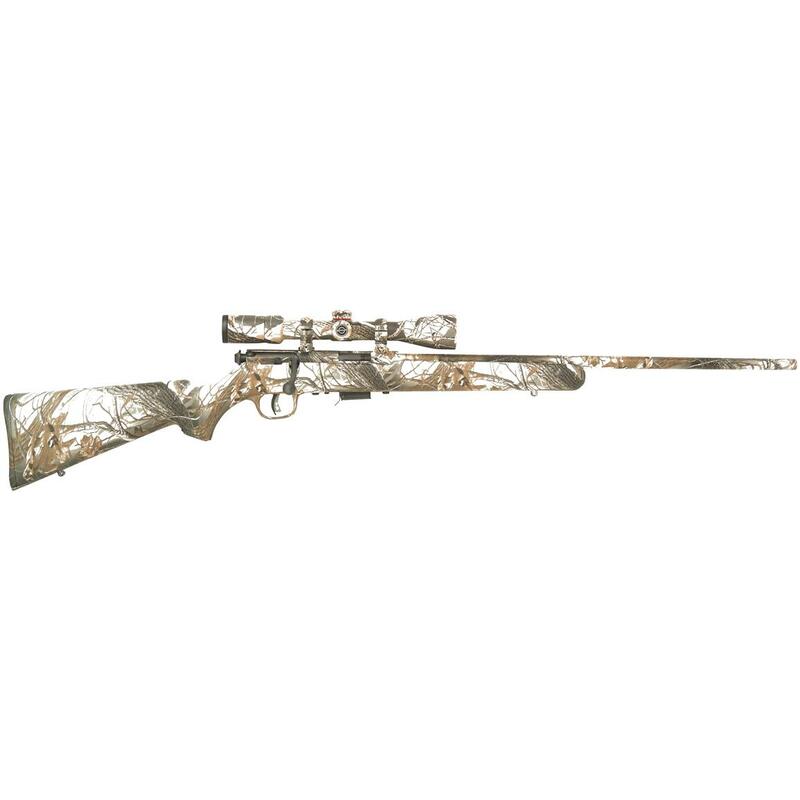 And this one comes field-ready with a 3-9x40 Scope, and everything is finished in a matte snow camo so those little pests won't know you're there until it's too late. The AccuTriggerTM is unique only to Savage rifles... many have tried to imitate the design, but Savage has it perfected. AccuTrigger offers a crisp, light pull that still protects against accidental discharge if dropped. Since its beginnings in 1894, Savage has been making top-quality, innovative firearms, and you can see this commitment to quality each time you shoulder your Rifle. Get yourself a Savage Rifle and experience the difference.